As the year winds to a close, we bring you the recap of the memorable moments in sports for the year. There have been a lot of great moments over the course of the year, as titles were won, legend born, and memories – good or bad – were made. For many stars, it is unforgettable and for some, they just can’t wait to forget. All in all, sports, as usual brightened our own humanity and taught us fortitude and perseverance. And moments like these stay long in our memories long after the final whistle is heard or the last drop of sweat hits the floor. Here are the most memorable sporting moments of the year. 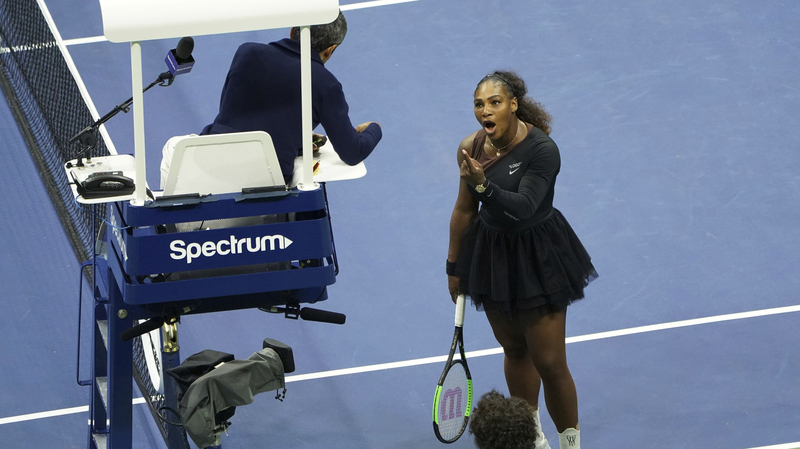 Serena Williams argues with the chair umpire during a match against Naomi Osaka, of Japan, during the women’s finals of the U.S. Open tennis tournament at the USTA Billie Jean King National Tennis Center on Sept. 8, 2018, in New York. At the US. Open, Serena was bidding to win her 24th major title but saw the hope melt as 20 year-old Naomi Osaka won the her maiden Grand Slam. 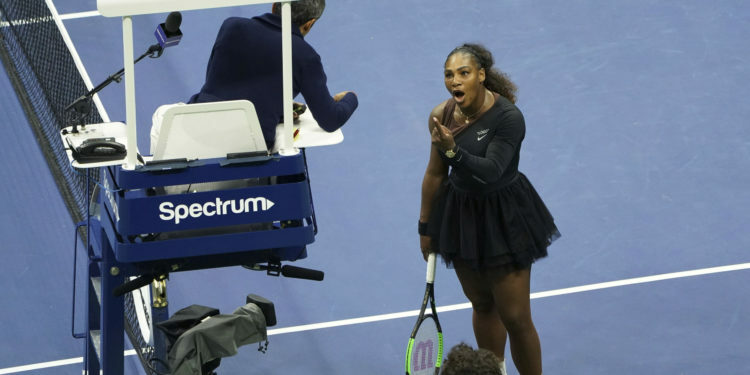 The controversy started after Serena was called for violations of coaching rules after her coach was spotted making hand signals. She angrily charged up to the umpire to insist that she doesn’t cheat. It didn’t end there. After she was broken at 3-3 in the second quarter, she angrily smashed her racket on the ground, and also deservedly got another point penalty. The real turning point came after she got a flagrant for a third code violation. She then broke down angrily and verbally abused the umpire, calling him a thief for taking away the point from her. 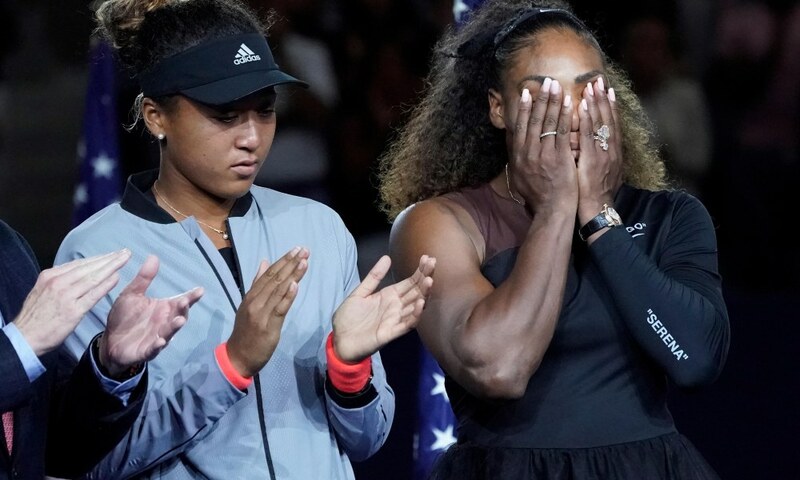 Osaka subsequently went on to win, but the earlier confrontation overshadowed the game so much that the 20 year-old Japanese had to apologise for winning a Grand Slam after she was booed by the crowd during the trophy presentation. Serena tried to make amends and asked the crowd to no boo Osaka. “I don’t want to be rude. She played well. Let’s make this the best moment we can, let’s not boo any more,” said Williams. The scenario started a conversation about the difference in treatment of male and female tennis players and if it was wrong for Serena to be that vocal during the game. Football can be cruel, even to its own. 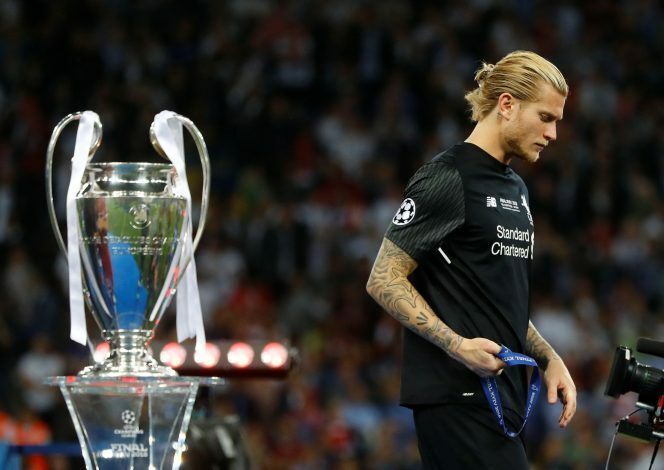 And that was exactly how Liverpool’s Karius must have felt after his mistakes practically gufted Madrid the Champions League trophy for the third year in a role. Zidane brought in Welshman Gareth Bale and that proved to be genius, obviously with the help of Karius. Bale’s first goal was a true wonder that would have beaten any keeper, but his second was shouldn’t have beaten any keeper. Except Karius who fumbled a straight shot and watched helpless as the ball entered the net. Karius would have wished to enter the ground. Who would blame him. Except the Liverpool fans did – summarily forgetting their “You will not walk alone” moniker. The other moment of the game came much earlier when Ramos tangled with Sallah and the Egyptian came out for the worse after dislocating his shoulder, and had to be taken off. It was a blow Liverpool never got over and by all looks, still haven’t gotten over till now. 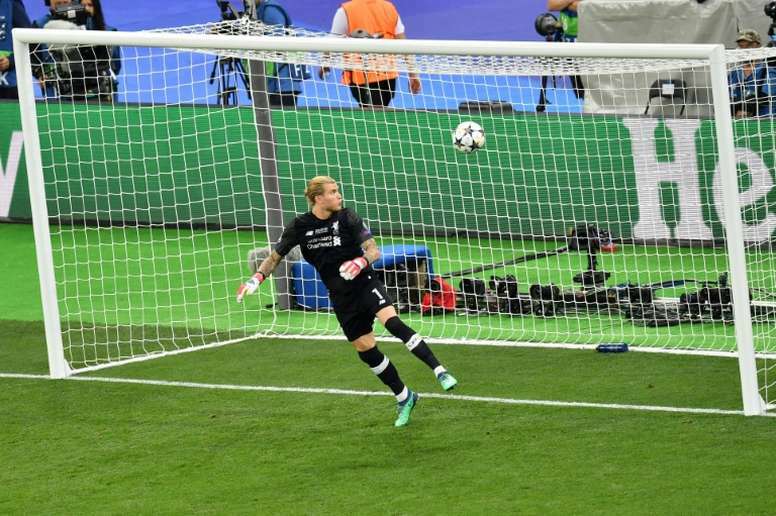 The Karius mistakes was one of the golden moments of the season, except if you are a Liverpool fan. The NBA final in itself was not a particularly memorable one – the Warriors as expected easily saw off a LeBron James led Cleveland Caveliars team in four games to retain their NBA championship. 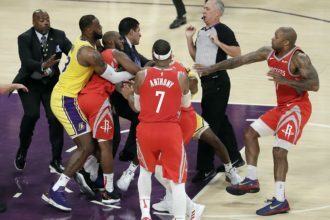 The stand-out point in the series came in the closing moments of the first game, when J. R Smith grabbed a rebound and forgetting that the Cavs were not winning, dribbled out the remaining seconds of the game. A furious LeBron gesticulated wildly and then walked away in anger. 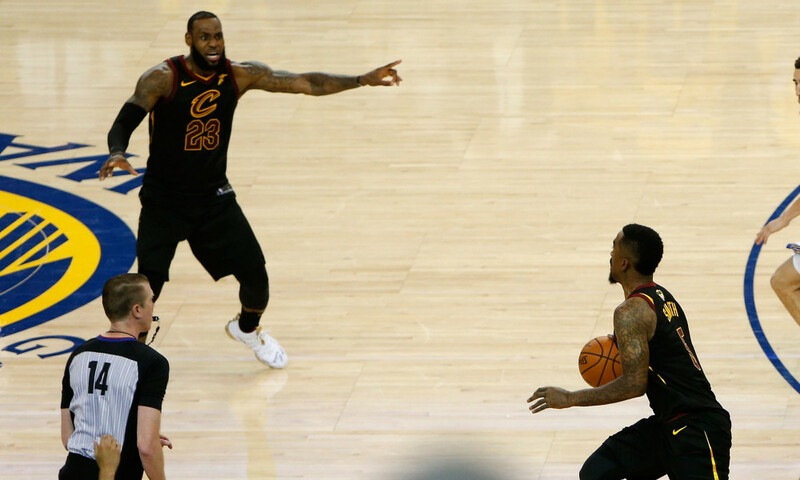 The moment, especially as LeBron stretched his hands towards Smith become a viral meme on the internet, and the image was one of the most shared sporting image of the year. 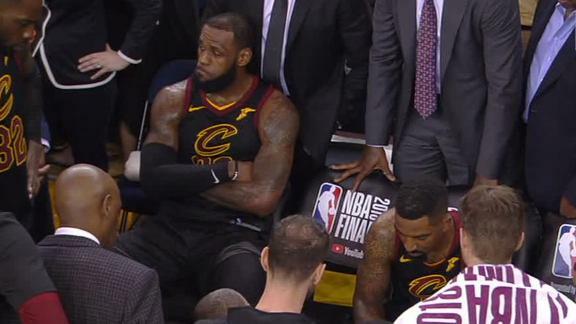 As the rest of the team huddled together before overtime, LeBron still had his head in his hands and looked pitiful, as if he felt he was not only up against possibly the best team in NBA history, but also his the ineptitude of his own teammates. Cavs never came back from the mistake and lost in straight games to Golden State. LeBron also left the Cavs for the Lakers some months after.